The Cyclone Ockhi, which struck the coast of India in November 2017, has generated a lot of curiosity. 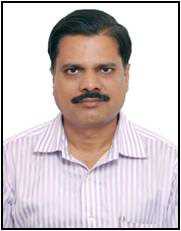 To know more about cyclones, Aapda Samvaad spoke with Dr. Mrutyunjay Mohapatra, who is the Head of IMD's (India Meteorological Department) Cyclone Warning Division. Q. What is a cyclone? What is the difference between a tropical cyclone and an extra-tropical cyclone? Is a cyclone any different from a hurricane and a typhoon? Natural hazards transcend national boundaries. So do disasters. This is even truer for nations which share common geological formations and river basins. One such group of nations is the Bay of Bengal Initiative for Multi-Sectoral Technical and Economic Cooperation (BIMSTEC) comprising Bangladesh, Bhutan, India, Nepal, Sri Lanka Myanmar and Thailand. The region is home to about 1.5 billion people which is roughly around 22 per cent of the global population. It has a combined gross domestic product (GDP) of US$ 2.7 trillion. As the region is exposed to a variety of hazards, it is imperative that these countries come together to reduce their disaster risks. They did come together for the first annual BIMSTEC disaster management exercise in October 2017. The four-day exercise was conducted by the National Disaster Response Force (NDRF) as the lead agency from October 10-13, 2017 in Delhi and the National Capital Region (NCR).